This Amazonian travels the world to meet innovators in unexpected places. For some people, road trips are all about scenery, snacks, and just getting away from it all. For Mackenzie Kosut, Amazon’s globe-trotting AWS startup evangelist, it’s all about supporting the world’s most innovative and undiscovered businesses. “The one thing that inspires me the most is meeting all these entrepreneurs who have all this enthusiasm and passion for what they’re building, and there’s no shortage of it,” said Kosut during a drive across rural Ohio. It used to take millions of dollars to take an idea, hire a team, and build the hardware you needed to launch an app. Today, we’re seeing individuals do this for just thousands of dollars. In his role, Kosut is essentially a dispenser of free advice to tech startups. Kosut says small teams, even businesses that are no bigger than one person in a college dorm room, can scale and reach a global audience on the back of AWS computing power, an advantage that was once unimaginable. AWS handles all the core IT infrastructure needs of businesses, regardless of size or location. “It used to take millions of dollars to take an idea, hire a team, and build the hardware you needed to launch an app. Today, we’re seeing individuals do this for just thousands of dollars,” said Kosut. Ohio is a hotbed of new business, drawn in by the low cost of living and bustling startup scene. Tatiana Parent, co-founder of an app called Roadtrippers which helps people with travel planning, says you can be a top tech company used by customers worldwide, and be based in Cincinnati, for one simple reason. “We’re able to develop our business here in Ohio by using AWS. Otherwise, we wouldn’t be able to process location data for the 50 million places that our app supports,” she said. Kosut says the affordable access to massive computing power has fueled the startup scene coast to coast and encouraged entrepreneurs who are heavy on ideas, yet light on engineering ability or financial backing, to strike out and give their dreams a chance. And Kosut frequently live blogs his meetings. This helps to give new companies a boost while also sharing their learnings with other entrepreneurs through social media. “These small businesses being built in rural parts of the world are not tackling simple problems. They’re tackling big challenges. Things like auto insurance, improving agriculture or helping people with education and learning,” said Kosut, whose road trip has no end in sight. 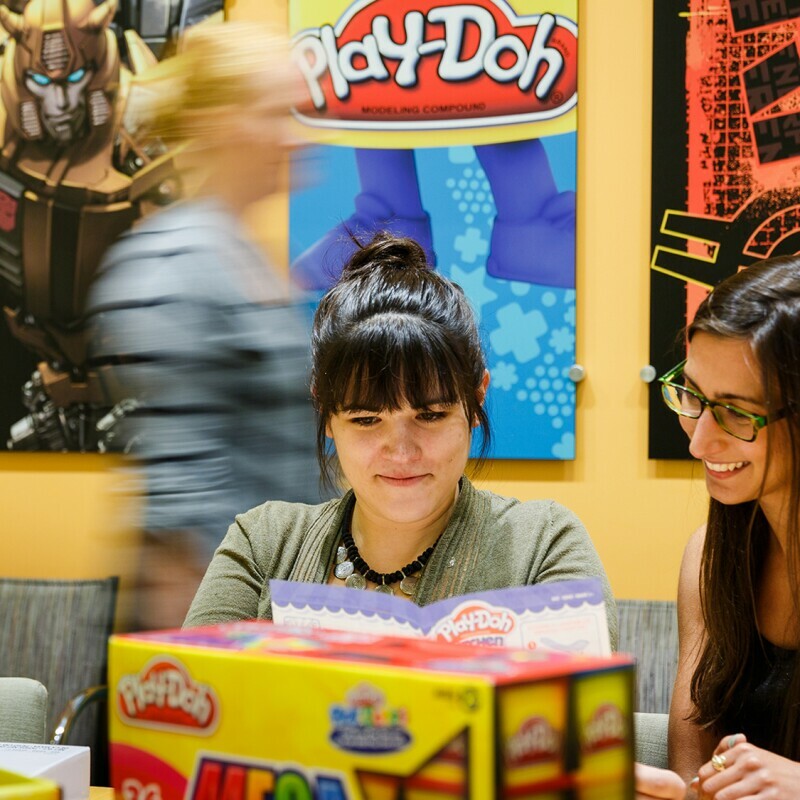 How Amazon and Hasbro came together to invent better packaging. How a film lover's passion project turned into the world's #1 movie website.